This information is about high altitude breathing equipment. 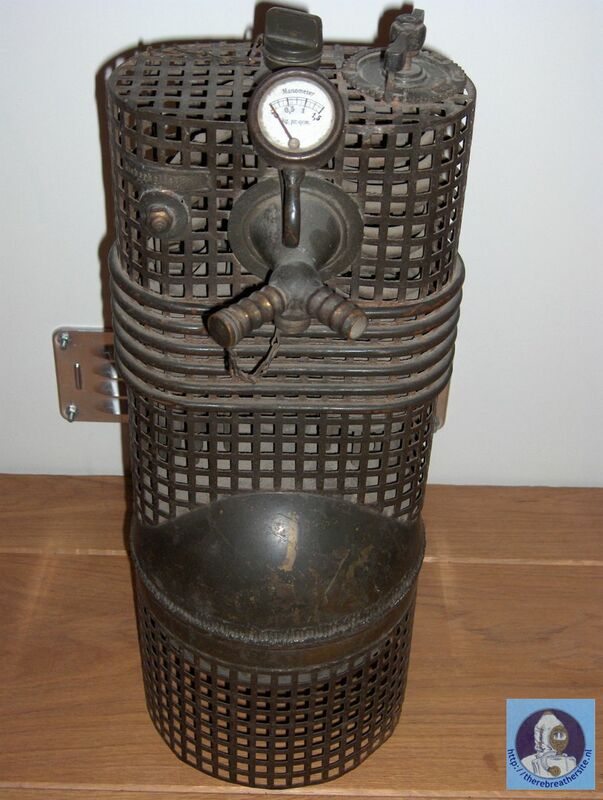 The unit shown on this page was a predecessor of the breathing equipment in use these days. 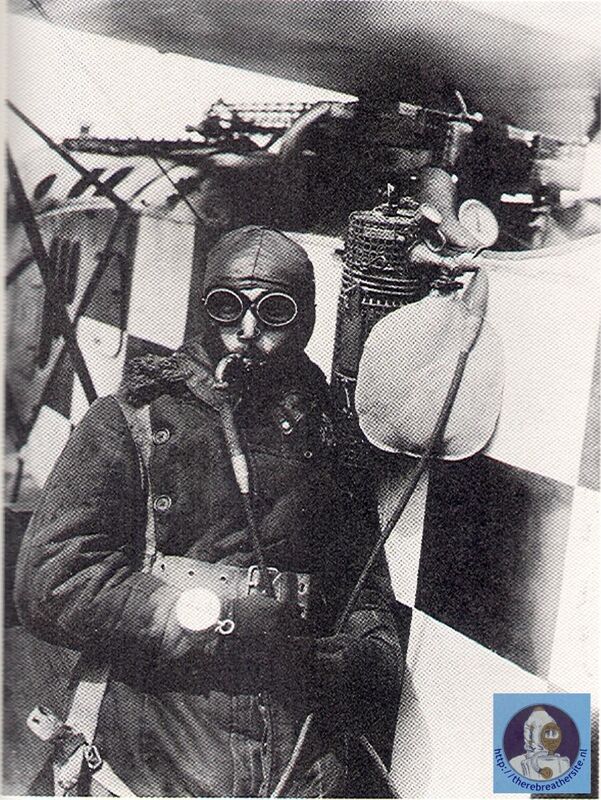 For high altitude flying, from 4000 meters and higher, it was necessary for the crew to find breathing equipment to be able to breath oxygen for respiration. Therefore the German company Ahrendt and Heplandt developed a breathing apparatus that was produced in two versions, a small type en a larger type. Based on a vaporization system the apparatus was filled with liquid air. The air was vaporized and is was breathed through a hose and mouthpiece, or breathing mask. The system was designed in such way that with increasing high the gas dosage increased as well. The unit was preheated with a heating system to start the vaporization. 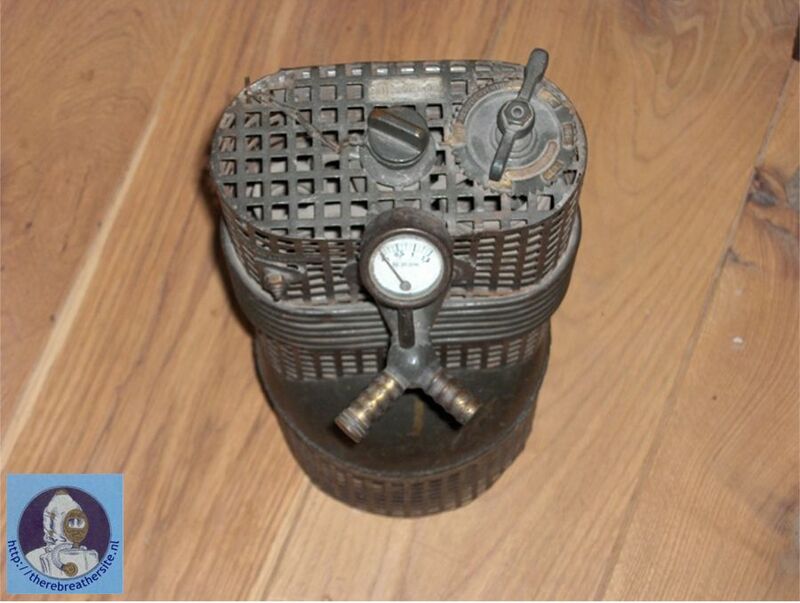 The small unit was a 3 kg unit and contained 1,3 ltr liquid air, and the bigger unit weights 4 kg and contained 2,3 ltr of liquid air. pictures and information thanks to W. Engelen.